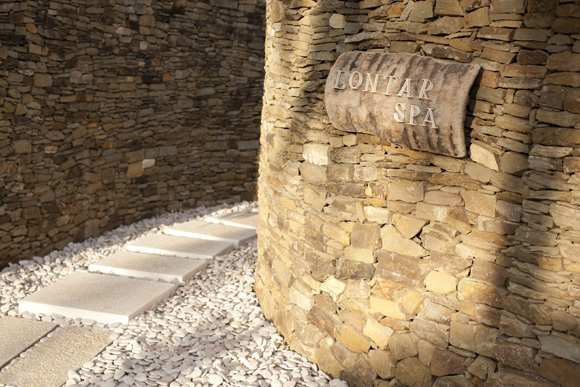 A tickle of luxury has arrived on the island this season, with the opening of the Lontar Spa at the resort. 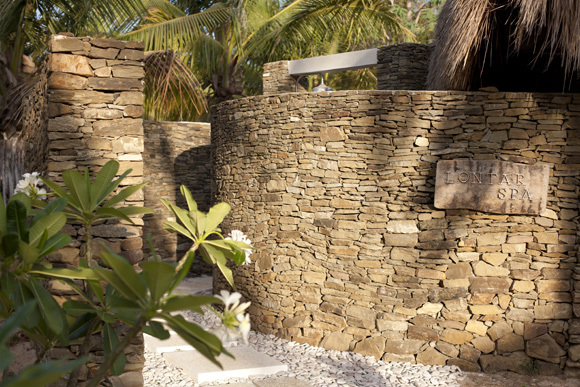 The building was designed by Tom McArchitect and the interiors styled by the spa's founder and manager Sascha; the beauty and brains behind the successful cliff-top spa at Mick's Place in Bingin (also Mick's better half and my neighbour). I was delighted to be asked to photograph the spa, and try out the signature treatments over the course of a girl's afternoon. The two therapists are local girls, trained by the experienced spa staff at Mick's Place. The main building has a curved stone entrance, spiralling inwards to a concealed door that welcomes clients into the secluded, calm interior. The nautilus inspired design features an open air shower and vanity in the centre and classic grass roof. 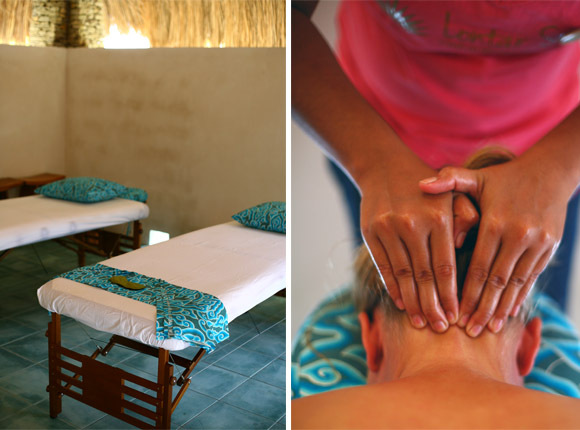 On the beach, with a front row view of the wave, is a small bale for manicures, pedicures and seated massage. See the boys blissed-out smiles as they combine beer-o-clock with a treatment in the next post. Riding home along the beach front at sunset, after a swim, full body massage and fresh shower, I experienced one of those peak moments that etch into your memory. Thanks Sascha, and congratulations.